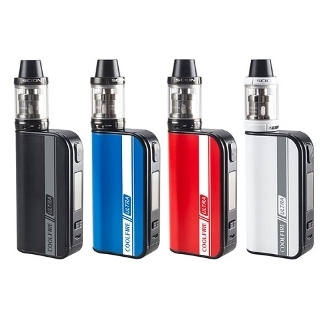 This Innokin Kit consists of the Coolfire Ultra TC150 Mod and the Scion Sub Ohm Tank. This Mod is upgraded with a 4000mAh Battery life and a max wattage of 150. The Coolfire Ultra keeps its easy to use button placement and has temperature control hat supports Nickel200, Titanium, and Stainless steel 316 coils. The Scion Sub Ohm Tank handles high wattages with ease and has a 3.5 ml e liquid capacity. Both are sleek and simple to operate! Dimensions: 3-7/16" x 1-7/8"x 15/16"
Note: Only Stainless Steel, Titanium or Nickel coils can be used with this Temperature Controlled Unit.